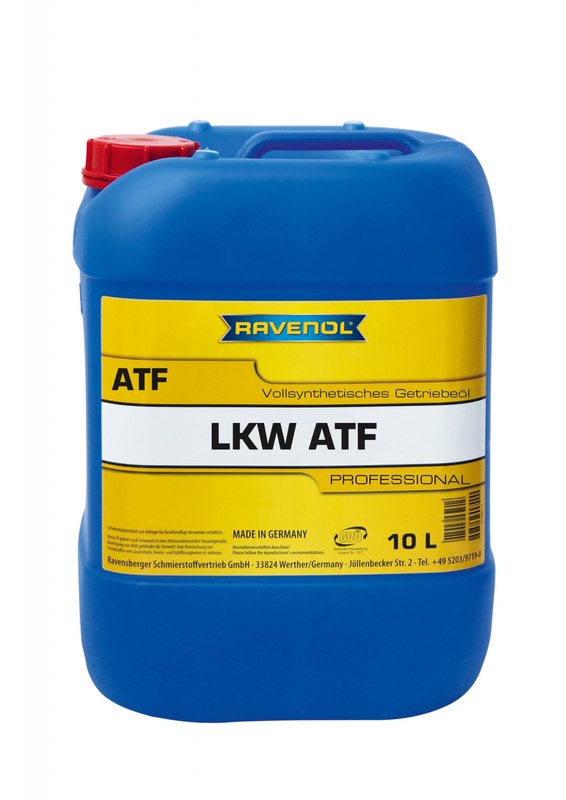 RAVENOL LKW ATF Synthetik is a fully synthetic automatic transmission oil developed specifically for the latest generation of commercial vehicle automatic transmissions which allows oil change intervals to be extended even under severe operating conditions. A new type of additive technology allowed ultimate performance to be achieved with reduced friction, excellent shearing stability, fluidity at low temperatures, improvedy wear protection and outstanding oxidation stability. Also suitable for use in torque converter and power-shift transmissions requiring this specification.